Receive $5 off your order of $20 or more! Present this coupon to server to redeem. DO NOT NEED TO PRINT. No cash value. Excludes tax and tip. One coupon per guest. 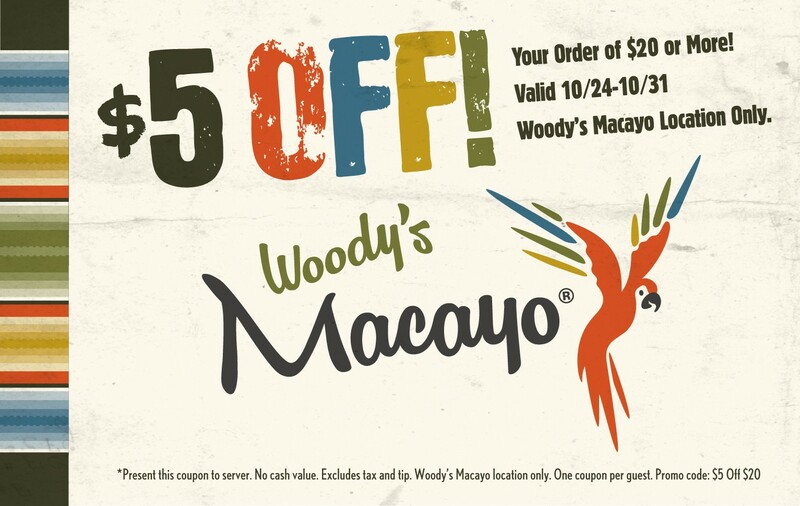 Woody’s Macayo location only. 3815 N. Central Avenue, Phoenix, 85012. Valid Tuesday, October 24th through Tuesday, October 31st.